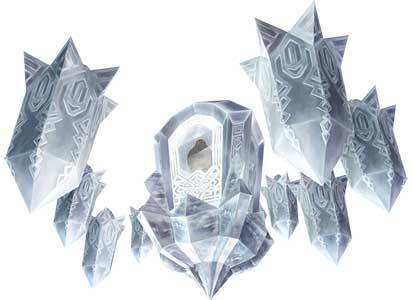 Blizzeta the Twilit Ice Mass is the Snowpeak Ruins dungeon-boss in the Legend of Zelda series by Nintendo. 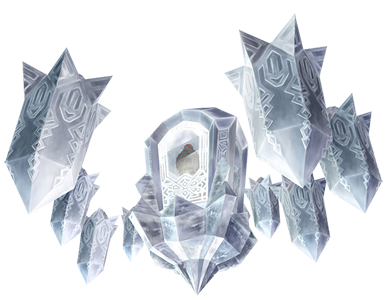 It made its debut in The Legend of Zelda: Twilight Princess (2006) on the Gamecube and Wii and did not return in any other games so far. Blizzeta is actually Yeta, a NPC that helps Link to find the Mirror Shard, but she becomes possessed by it and transforms into Blizzeta and attacks Link. 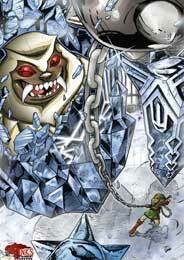 Blizzeta was drawn one time so far for our Link’s Blacklist art collaboration. Blizzeta was drawn as part of our Link’s Blacklist project, so far only one time and based on its design in Twilight Princess.